Oh...I'm coming to your house for drinks! Two adorable cards. Love , love ,love your beautiful vellum drinks! Adorable dog card too! My goodness you had to post 3 things for today! HOLY SMOKES Tracey!!! Those drinks are perfection (would love to have seen the gymnastics!!) *wink* The dog card is perfect for their loss. Hydrants are red for the most part. every now and again you see something different! Such fun cards. I really love the first one with those fun drinks. 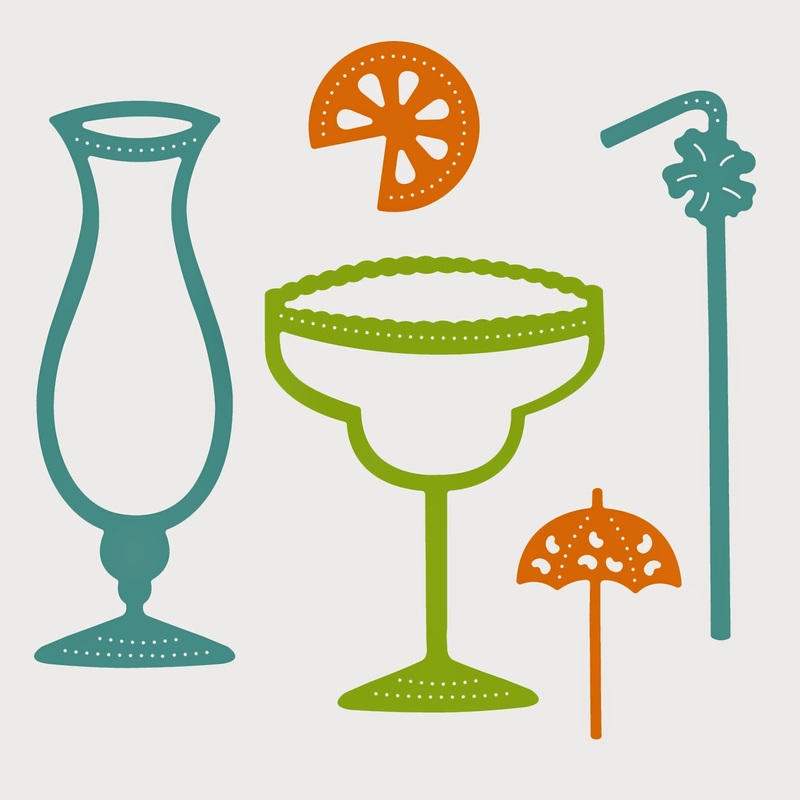 Oh so smart to add the vellum to your drinks - yummy frosty glasses and your new drink machine.. Sounds like a staycation! Wish I could pop by for a few! Gotta love the doggie too! I like how you put the fence behind him! Both are awesome! And suddenly, I feel I could use a drink (or two)! ;) Love! Girl you are rocking those dies.. love these cards..
both so cute, love the drinks! The fence is perfect, love it! Your drinks card is so realistic Tracey, and I chuckled at the straw gymnastics :) I like how you coloured and left the glass outline. The pet sympathy card is really beautiful. There is a need for these cards and I think this one is really perfect. These look so cool and frosty--your card is positively amazing! Love the vellum! Fabulous cards! Love how the drinks look swirly. I love both your cards Tracey, The drink card is especially refreshing.Have a Blessed day, DIANA L.
such a fab design and I am with Lynn...what time for drinks!! My first comment didn't seem to go through...You've done an amazing job on both cards, Tracey! 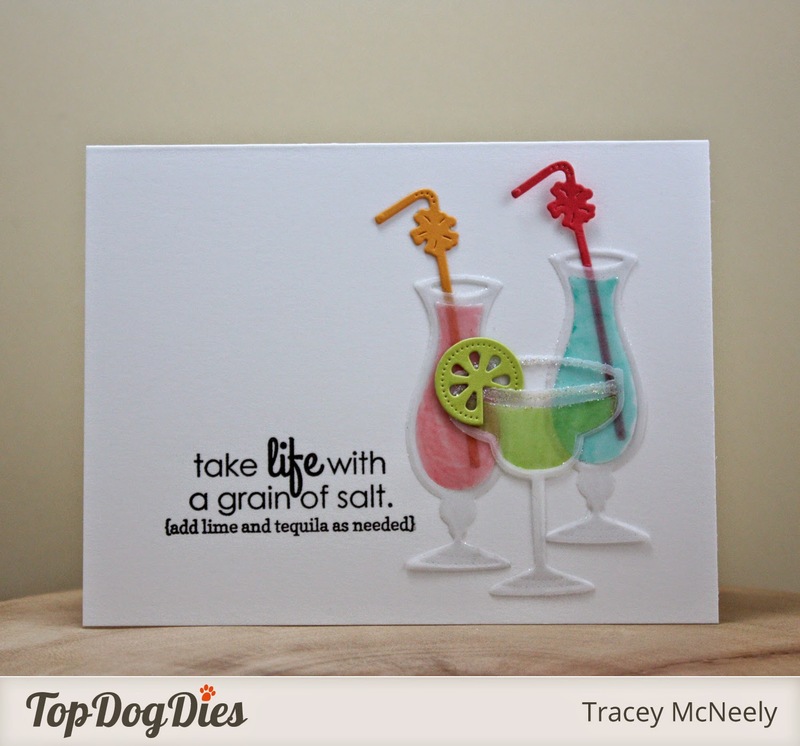 Your drinks look good enough to taste, and I love how you created your scene on the 2nd card...so sweet! These are both so cute. Love the festive drinks party, and that dog sympathy card is really sweet--sure to cheer some unfortunate person up. Looks like those 'crafting gymastics' paid off in a big way, because that first card is eye-catching amazing! Salt on the rim = seriously clever, my friend! Your second card: so thoughtful and heart-warming! 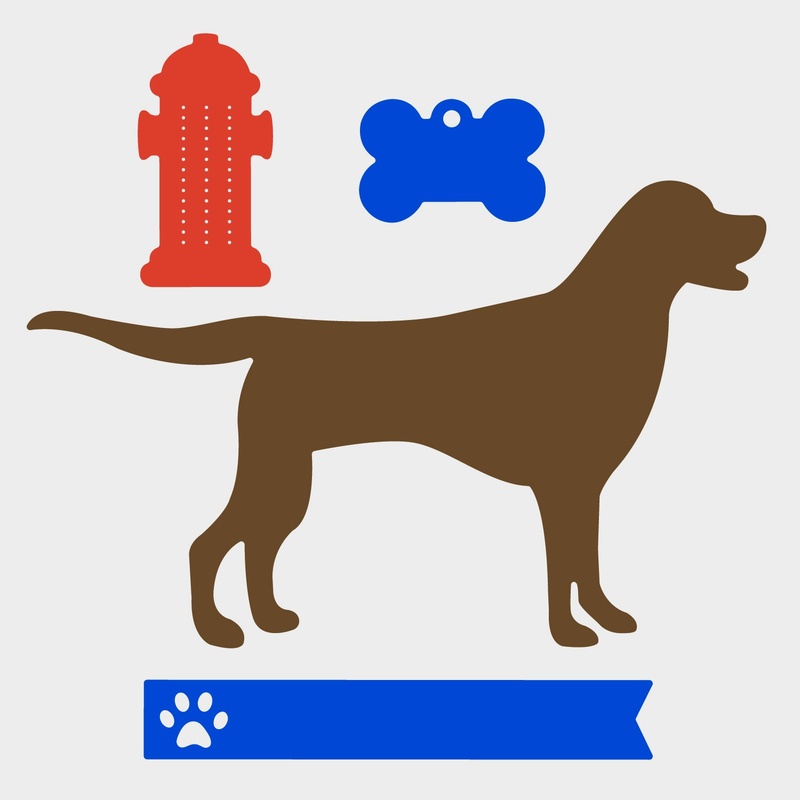 Yes, acknowledging the loss of the four-legged family members IS important. A most touching card; one that will be treasured! 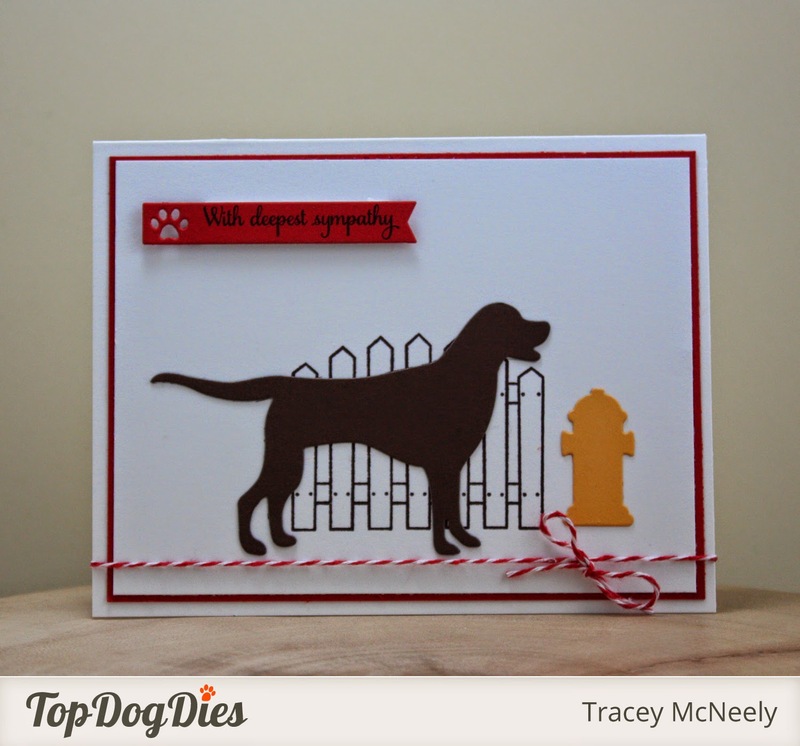 Wow...Tracey, both of your cards are just amazing and so much fun! I love the first one with all the festive looking drinks on it. Just too darn cute!